My name is Mr. Buggy, I am the specialist P.E Teacher at Cottesmore St Mary Catholic Primary School. At Cottesmore our aim is to get as many children as possible involved in sport. We hope to do this by making sport as fun as possible. Each child within the school takes part in at least two hours of physical activity each week. In the P.E lessons that I deliver we cover a range of team and invasion games including football, tag rugby, basketball, netball and hockey. Children learn all skills and techniques needed within these sports such as dribbling, turning, passing, tackling and shooting. Once all aspects have been covered, we then challenge the children to apply these skills in game situations through Intra-school competitions and assess their ability and progression within that particular sport. In every one of these sports we encourage the children to try their best and show great leadership qualities that are needed to succeed. Children develop great team work skills and learn about fair play and respect. We also cover striking and fielding within P.E lessons through cricket and rounders, in addition to net and wall games such as tennis. During the summer term we have a huge focus on athletics, covering track and field activities. This is all in build up to our sports day competition at the end of the school calendar year. At this event all children take part in a running, throwing, jumping and relay event, competing against each other for team and individual awards, in a fun and competitive manner. 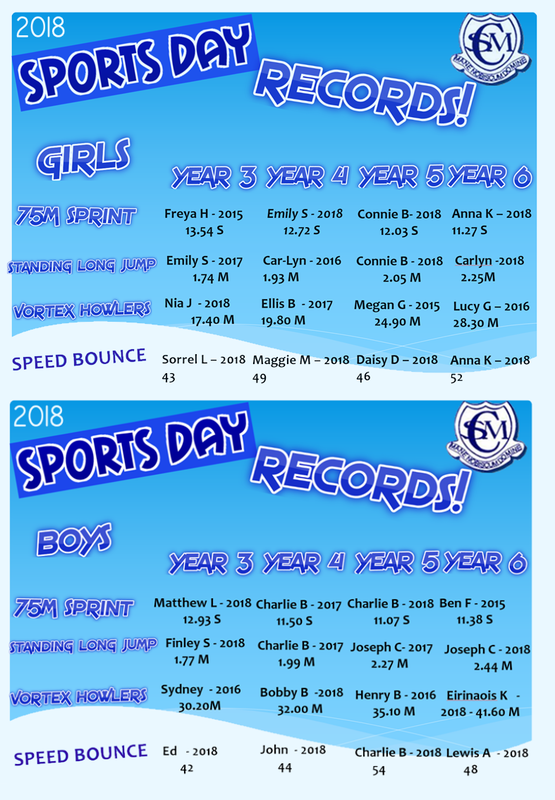 We have recently introduced sports day records for Key Stage 2, allowing the children to strive to be the best that they can be. The children also get the chance to participate in gymnastic and dance lessons with their class teachers, in addition to swimming lessons from year 2-6. We offer a wide range of after school clubs at Cottesmore to help improve the children’s knowledge and skill of particular sports. I plan and deliver a girls football session, mixed hockey, ks1 multi sports covering a wide variety of sports, running club and boy’s football. I also offer an additional fun sports club for all ages, from 4.15 – 5.00pm. Children enjoy outdoor sports games such as rugby and football, in addition to indoor activities including bench ball and dodgeball. We also have outside agencies that come in to offer further coaching in certain subject areas. These include Star Soccer mixed football sessions for ks1 and ks2 and south coast elite basketball for years 3-6. We have been hugely successful in a number of inter-school competitions over the past year. At Cottesmore we try to enter every competition that we can to enable our gifted and talented pupils to strive to be successful in the sports that they love. We always hold trials before competitions take place in order to make sure that all children get a fair chance to show their ability and dedication. In the weeks running up to events, the chosen pupils will then attend practice sessions with me at lunch times, to prepare and ready themselves for the competition. All of this practice is proving to be successful as recent results show. The athletics team recently won the Brighton and Hove big schools athletics competition, our girls football team have won the last three tournaments entered, including the Brighton and Hove Albion cup and the English School Football Association cup and our Year 5 girls and boys have recently won the Brighton and Hove cross country championships. We have made it to the Sussex School Games twice over the past two years to compete in two different sports. This is the biggest sporting event within Sussex and very few schools are invited to attend each year. There has been a huge focus on intra-school competition within Cottesmore over the past two years, as the children love the chance to compete against each other, showing off all of the skills learnt during P.E lessons. At the end of every half term, we set up a tournament style format for the children to compete against each other. Each child has a chance to win medals and certificates in a fun yet competitive manner. We have recently been celebrating the rugby world cup by setting up our own tag rugby competition, with the children competing over a 5 week period. We will soon be celebrating Euro 2016 with an intra-school football competition, followed by the Rio Olympics 2016 celebration in the summer term. We hope to encourage as many children to engage in physical activity as possible, and will continue to offer opportunities for children to try a wide variety of sports.